Gretchen Barry is a guest contributor for Nonprofit Hub and the Director of Marketing of NonProfitEasy. She has been a leader in corporate communications and marketing for 20+ years. Gretchen has published numerous articles related to charitable giving and is a passionate advocate for public schools. She has donated her time to numerous causes including Relay for Life, Girls on the Run and Rebuilding Together. Is it a bird? A plane? No, it’s nonprofit CRM software. 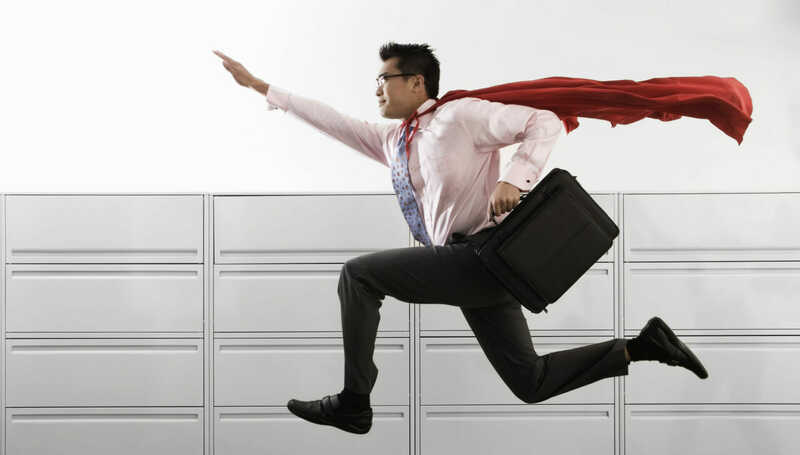 CRM software might not bring Superman to mind, but if you think that CRMs lack superpowers then you either need to take one out for a spin or you’re using the wrong CRM. Using a CRM is like X-ray vision, super speed, the power of flight and a six pack that resulted from absolutely zero weight lifting all rolled up into one powerful package. A great CRM gives your nonprofit the tools to organize and utilize donor data in more incredible ways than ever before. CRMs give your organization the tools needed to raise more money, and no one has to wear spandex to heroically pull off the feat. Specifically, there are three ways that CRM software can deliver a positive jolt to your fundraising campaigns. The Justice League contains Superman, Batman, Flash, and… hmm, if only I had an easy way to check. But, anyway, they live at… oh, we didn’t keep track of that information? Yikes, well, do we know when they last volunteered? Right, of course that data is in an Excel file on the Invisible Man’s laptop, wherever he is. Fundraising is hard enough without the hassle of scrambling to find donor information that should be readily accessible to fundraisers. Basic contact information, preferred modes of communication and matching gift information that can help to maximize fundraising should be available in an instant. It’s the 21st century, and if you’re not working efficiently then you’re falling far behind. A CRM tool is not about working at a speed faster than a speeding bullet, but competently being able to move from task to task without slowing down. You’ve got donors and prospects to reach out to, and if their data is disorganized then you’ll spend valuable time searching for what you could have had available much faster. Those are just some of the many features that CRMs can provide to nonprofits. Thanks to the power of a CRM, nonprofits can keep track of their donors like never before and create more detailed, personal solicitation strategies for all. When you invite all of your major donors to a gala, wine tasting or a rodeo carnival with a mechanical bull, you’ve got a lot of moving parts to manage. Many CRMs let you manage everything all in one system. It’s like you’re a superhero, and your power is making fundraising success easier than ever. A great advantage of having all of your event attendees organized in one location is how easy it becomes to check to see who among them your fundraisers should focus on speaking with at the event. Either through your own efforts or with the help of a prospect screening, you can identify which donors are most likely to give major gifts. When your fundraisers have conversations with the right people, that’s when you can land not just more donations, but bigger donations, and you’ll feel the true power of using a CRM to manage your events. You can’t form the fundraising equivalent of the Justice League unless you’re able to give powers to multiple people. Your donor management software should allow multiple staff members to use the system, which puts all the tools and information of the software at the fingertips of not just one person, but many, so they can all use it simultaneously and coordinate their efforts in order to save time. Your nonprofit is a team, and fundraising should be no different. A CRM tool can help your team to accomplish tasks in no time thanks to its collaborative power. CRMs don’t sound as glamorous as knights in shining armor or caped crusaders, but they help to bridge the gap between marketing and fundraising to help your nonprofit achieve amazing results. There’s a lot of CRM software to choose from, so it’s best to shop around and find the right fit. My advice? Look for the software that makes you feel like anything’s possible, because your nonprofit isn’t trying to settle. You’re trying to accomplish a mission that’s going to make the world a better place to live, and that’s no easy task.